Waiting for Uncharted 5 Game Release Date? Then Must Read This. Naughty Dog is well known for the different kind of flavor they imbue in their games. 2016 was a good year for fans of the California based developers, for they made significant additions to some of their most popular franchises. So while earlier in the year we got our hands on Uncharted 4: A Thief’s End, the year closed with another feel good announcement- the sequel to 2013’s super successful survival horror game, The Last of Us. Fans of the latter can definitely breathe easy now after a long period of thinking whether or not the game would happen at all. But for those who share a long history with the Uncharted series, things developed to take a more nostalgic turn. That is because Uncharted 4: A Thief’s End was meant as a closure to the story of indomitable adventurer and treasure hunter Nathan Drake. This quite obviously was taken as a hint that the latest game to have launched will not be succeeded with another massive adventure with Drake at its center. The creators have confirmed that A Thief’s End was appropriately titled as it served as a fitting conclusion to the life of Nathan Drake as a treasure hunter. Naughty Dog has even gone on to say that Uncharted 4 was made to be the last game in the series, and that a new Uncharted title with Nathan Drake as the protagonist had a slim chance of happening. 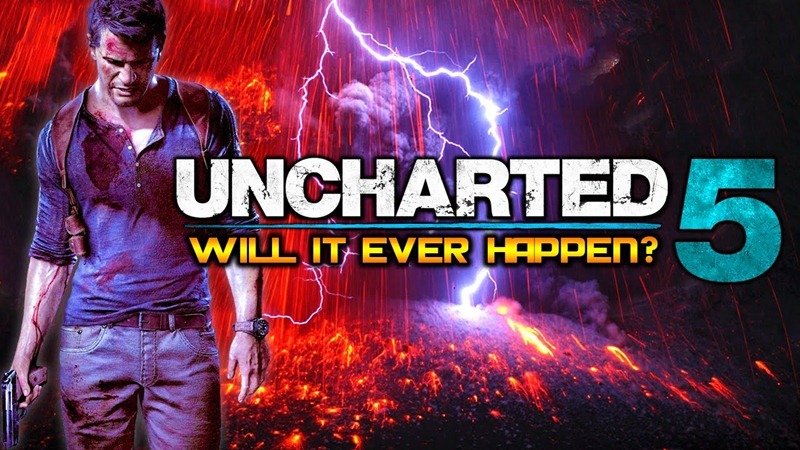 Now questions about Uncharted 5 release date have been doing the rounds since Uncharted 4 came out. But that essentially provides a very straightforward answer to it. To that, Naughty Dog has said that the fate of Uncharted 5 Game is not really in their hands, as they would likely not be involved with developing a new game in the series. However, they did say that if someone else was interested in developing Uncharted 5, then they would be happy to give their creative inputs (something that we feel will be crucial if the game is to happen). That along with the creators’ confirmation that Nathan Drake has reached the end of his journey gives rise to two important possibilities for Uncharted 5. Firstly, the game could be developed by someone other than Naughty Dog, but in collaboration with the latter. Secondly, and more interestingly, Uncharted 5 could release with a new protagonist at its center. This latter one actually seems quite a possibility, and there are some clues to go by. To take a look at Uncharted 4 itself, the Epilogue poignantly introduced a new character while giving us a glimpse of Drake’s more settled family life- Cassie Drake. Cassie is Nathan and Elena’s daughter, who happens to be the popular choice for protagonist in Uncharted 5. The possibility of a female protagonist has been further strengthened after Naughty Dog announced Uncharted: The Lost Legacy with Chloe Frazer and Nadine Ross as the protagonists. Furthermore, the fact that Naughty Dog actually went on to turn the upcoming expansion into a standalone title in itself tells us that they are aware of the potential for further exploration. So to conclude, Uncharted 5 might just happen as a Naughty Dog project if we are lucky enough, and we might get to see Cassie Drake take up the role of the new protagonist. As for when the new game will be released, we don’t think we will hear about it anytime before 2019.